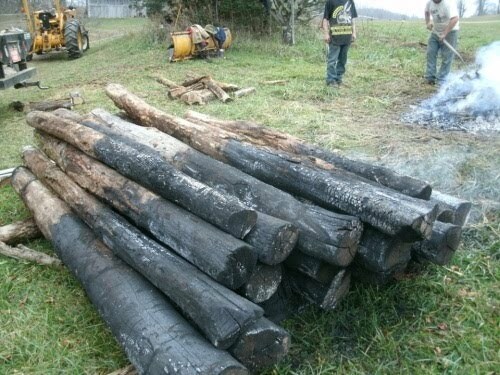 Black Locust is a naturally rot resistant species native to the Appalachian region. Environmentally sensitive alternative to pressure treated lumber. These post have had their rot resistance enhanced by charring or burning the lower portion that would be in contact with the top soil where they normally rot off quickly.